The use of synthetic adhesives such as cyanoacrylates has been established previously for a wide range of clinical indications. However, more research is necessary to evaluate their use in digestive closures or anastomosis. New chemical formulations developed to achieve more flexibility of synthetic adhesives (i.e., based on n-butyl-2-cyanoacrylate) could be an alternative to achieve this purpose. 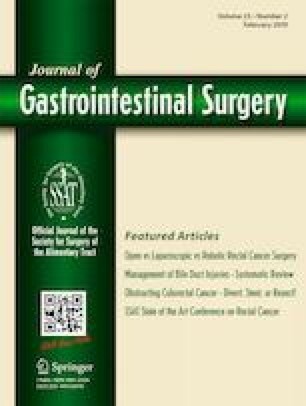 The aim of this study was to investigate the feasibility of using flexible cyanoacrylate adhesives for large gastric incision closure in an animal model. Twelve farm pigs were divided in two groups depending on the type of closure method applied. In all cases, extra-large seven centimeters gastrostomies were performed. Braided absorbable hand-sewn interrupted suture versus n-butyl-2-cyanoacrylate with softener closure were compared during a 3-week follow-up period. Histopathological aspects, hematologic and inflammatory biomarkers, and endoluminal pressure tolerated until leakage were assessed. The time spent on both closing procedures was compared. No differences between the two groups were found in any of the histopathological and inflammatory variables evaluated. The glued group tolerated a significantly higher pressure than the manual suture group. A reduction of surgery time was also observed. Our results suggest that flexible cyanoacrylates could be a feasible alternative to improve the clinical outcome of the closure of hollow viscera through more efficient sutureless procedures. JF. Julian and J. Fernández-Llamazares participated in the conception, design, surgical procedures in pigs and final critical revision. P. Turon, AM Rodríguez, LF. del Castillo and E. Díaz participated in the conception, design, execution and final critical revision. F. Espin and I. Vorisova contributed to analysis, interpretation of data, structure and drafting. J. Navinés and J. Tarascó participated in the acquisition, analysis and interpretation of data. The authors declare that the Investigational Review Board and the Ethical committee of our institution approved the study and that they have no conflict of interest. The authors declared no potential conflicts of interest with respect to the research, authorship, and/or publication of this article. The present work has been developed under agreement between B. Braun Surgical, S.A. and The Catalonian Public Health Institute (ICS), Barcelona, Spain. The authors disclosed that Histoacryl® Flexible was employed for investigational use. Histoacryl® Flexible is not approved for internal use, only for skin closure.